Year after year, the Golden Flugelhorn, or Flicorno d’Oro, as it is known, brings a lively, contagious explosion of music to Riva del Garda, in the Trentino region of Northern Italy! First and foremost, the contest is a chance for a vast number of music-lovers from numerous countries to get together and discover their shared passion! 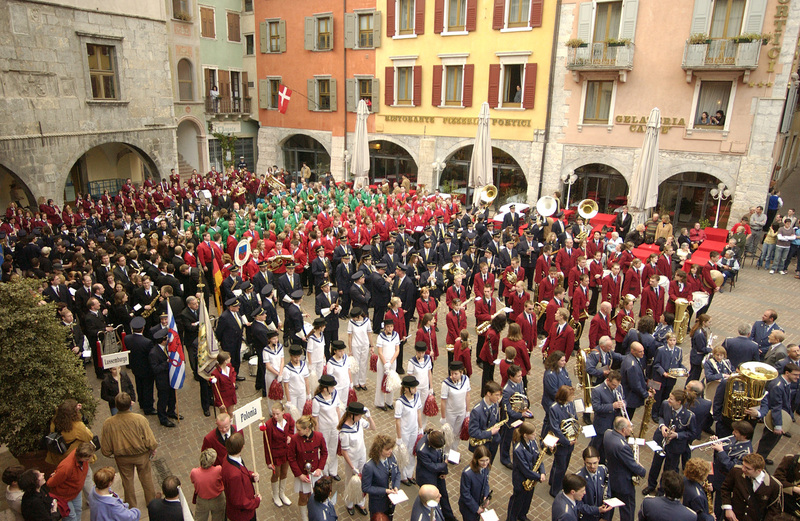 The bands which take part, as well as all those who come along to Riva del Garda to enjoy a few days in this splendid town, will enjoy an extraordinarily high standard of music, in the stunning surroundings of the lake, which offers something for everyone – from culture to nature, delicious food and sport. And thanks to the special prices that our in-house travel agency, Rivatour, has negotiated for you, it won’t break the bank! For more information about accomodation click here!